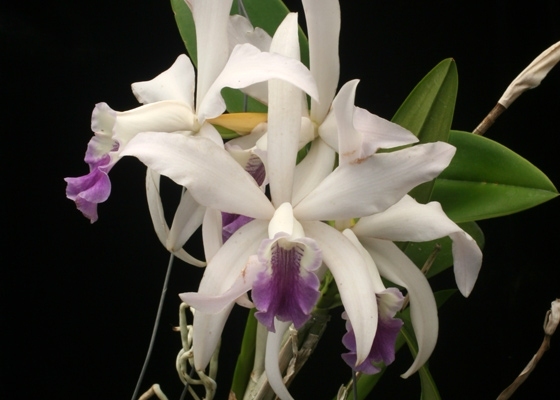 A fine, large flowered, blue form of this primary hybrid between Cattleya intermedia and Laelia anceps. Sepals and petals are white with a lip heavily marked with amethyst. Flowers can reach five inches across.Temperature Tolerant. July - August blooming.